"Thank you for your help, item was as described, well priced and delivered very quickly. 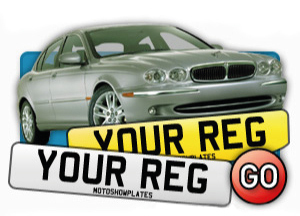 The online preview of the plates and various options is ideal and website is very easy to use. 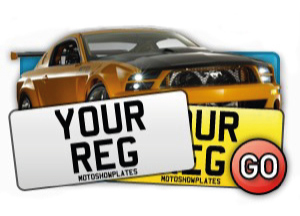 Will definitely use Motoshow Plates again"
I would like to say how very satisfied I have been with your whole service in my recent purchase. From start to finish it was an easy process. My plates arrived a lot sooner than I expected and I am delighted with them. I would recommend potential customers to use your service without hesitation. My plates arrived very quickly and I'm delighted with them. The service you provided was first class and I would have no hesitation in using you again and I will recommend you to others. 'Great Service, Excellent Quality, Quick Delivery' you achieved all of these! I will return! 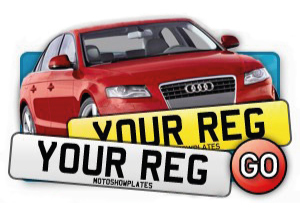 a good quality number plate, very quickly dispatched, i beleive the same day as the order. you cant get better than that! Just to say I am very impressed with all the aspects of your service. Your website is very easy to use and gives a good visual impression of the many choices you offer. Your prices are pitched at the right level, while the delivery is very prompt. Your communications with me have been informative and at appropriate points. Finally, importantly, the actual product is very good and very well assembled. I would have no hesitation in using your site again and would recommend it highly to others. Very good. Prompt dispatch following the order and the plate is good. Thanks for your email and a great service. The plate arrived and is perfect couldn't have asked for a better purchasing experience. Website is user friendly and efficient in enabling fast ordering. I was very pleased with the prompt delivery of new plates. They were fitted in minutes. more than happy with the product,good clear website and superb service. can,t fault you at all. Great service-Excellent quality-Quick delivery What more does one want! 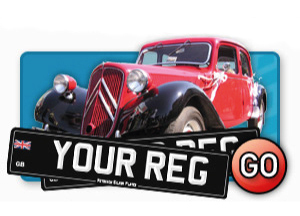 The number plate is superb, excellent service and we would not go anywhere else for a number plate. It looks great. 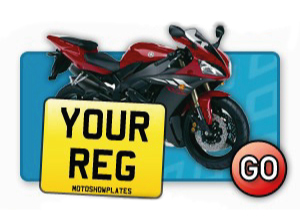 I can honestly say, you guys do a great job on the number plates, I've had about four plates now some bike some car and they're all very well presented and finished to a high standard. Superb all round, I'll be back soon for another. The service was superb and the quality of the product excellent. Its so nice to be able to see how the finished plates will look with the opportunity to build it on screen. I'd recommend Motoshow Plates to anyone. Thanks for the new plate. It was exactly what I wanted and the logo at the bottom sets it off a treat. Your delivery arrived two days earlier than expected and the price was superb! Well done for a superb service all round.